How much can a cat mom learn reading a book like this when her fur baby is perfect? (Seriously, Mudpie is perfect in every way!) Turns out, quite a lot! 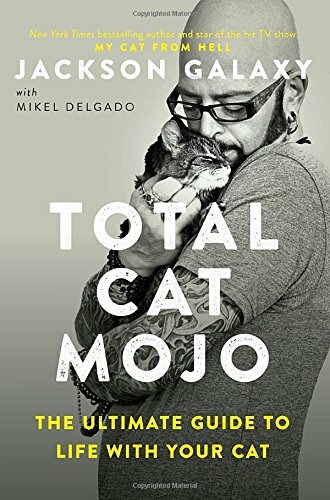 Total Cat Mojo is the next best thing to having Jackson Galaxy in your home; a step by step guide to help your cat live their best life the way they were meant to live it, and to strengthen the relationship you have with your cat by providing them the tools to make them a happy and well-adjusted member of your family. One of my favorite themes this book drives home is that you are not a cat owner - you are in a relationship with your cat. The most important part of any relationship is taking time to nourish it...why should this be any different when it comes to your feline friend? Just a few fascinating facts I learned in Total Cat Mojo include how a cat's physiology and anatomy support them as natural-born hunters primarily through touch, vision and hearing; that cats fall into 3 tiers on the "mojo spectrum," and I'm pleased to announce that Mudpie is a completely confident in her fur Mojito Cat; and that playtime is just as important for our cats as daily walks are for dogs. And stalking doesn't mean they aren't playing - it's actually one of the most important parts of the "hunt"! I don't know how many times I've gotten frustrated with Mudpie when it feels like I'm doing all the "work" during playtime. Now I know exactly how to wave the ward toy to imitate the movements of a cat's natural prey! Even if you think you live with the most perfect cat in the world (like I do) I guarantee you'll learn a multitude of things in this book to help you better understand your cat and make your home a more natural environment for them. It's an invaluable resource for any pet parent, one you'll refer to again and again throughout your relationship with your fur babies. For a person like me who searches for cat-related items everywhere I go, this massive volume is a feast for the senses. I found myself "oohing and aahing" with every turn of the page while looking around my home realizing that my collection pales in comparison! But in the end that's the thing about personal collections regardless of your budget - the things you choose to surround yourself with are pieces that should make you happy when you look at them. Every time I pick up Caticons I discover something new to covet for my own collection, with the "Cats in Books and Entertainment" section being my favorite. I can't think of a better gift for the cat lover in your life this holiday season than Caticons. 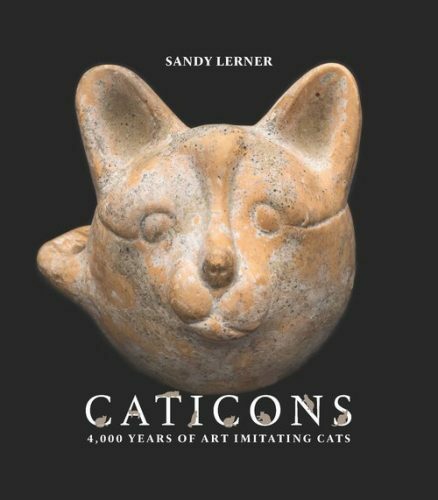 It's an art history book with feline flair! Disclaimer: I received a free copies of these books from the publishers in exchange for a fair and honest review. This post contains affiliate links. 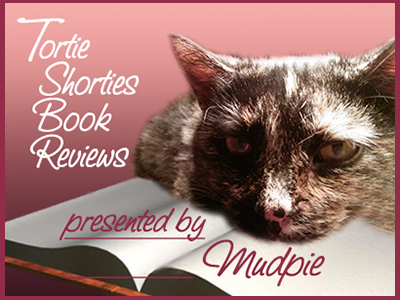 My human really wants to read Total Cat Mojo! She actually knows a lot about cats, but the best thing about her is that she does NOT think she knows everything (because she doesn't). Thanks, Melissa and Mudpie. Both sound great. These both sound fascinating. I really need to get my hands on some Jackson Galaxy books, because I have yet to read anything he's written. That seems so wrong of me! And I love the idea behind Caticons, especially because I also love to collect anything and everything cat. Thank you for always sharing such wonderful reads with us! Wow! Both of these books sound very interesting and both will be going on our purchase list. Thanks for the great reviews! Seriously, she married someone who was allergic to cats? No way...that should have been her first question on the first date!!! LOL, no seriously, Caticons looks like fun! J. Galaxy's book is a given...really! These both sound great. I wish I could have Jackson Galaxy visit, Sammy is so mean to the other cats lately. Can't wait to read that Galaxy book!! Amarula is a big fan! One can never know too much about cats, they’re always one step ahead. That’s what we love about them and that’s why I can’t get tired of cat books! Thanks for sharing.